Spectrum Extra-Wide is designed to harvest the new 52", 60' and 73" DOV raisin trellises. These very wide yield trellis systems can yeild 6 tons of raisin per acre. 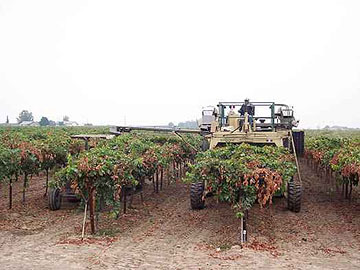 © 2011 American Grape Harvesters, Inc. All Rights Reserved.